“Everything’s good right now!” – Bruno Mars described the current period of his life in these words. 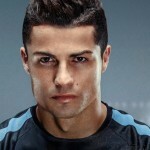 He is 30, he is rich and popular and he is dating a model Jessica Caban. Probably, Bruno Mars wouldn’t become so popular, if he came from some other family. He was born in a big family of a musician Pete Hernandez and a dancer Bernadette Hernandez. His parents got acquainted, when they both performed in the same show. Pete and Bernadette gave a birth to six children and each of them is connected with musical industry now. 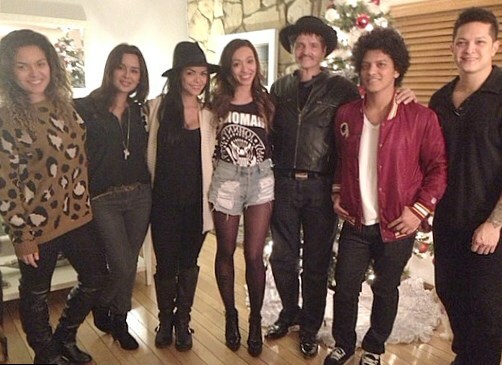 His brother is a drummer in Bruno’s band and his sisters have formed the girls’ band. Four girls and two boys from Hernandez family helped their parents and performed on the stage with them from the earliest years. 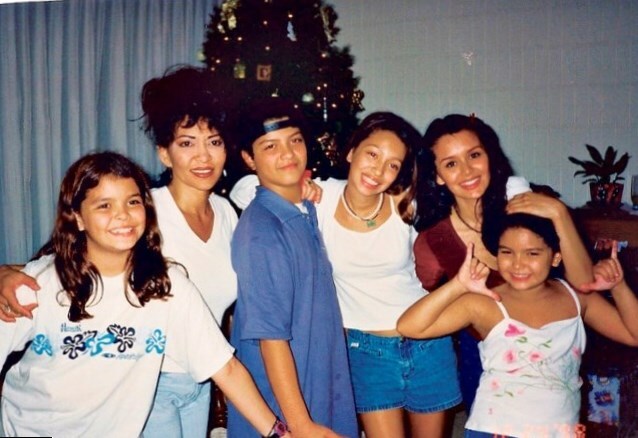 Peter Gene Hernandez (Bruno Mars) started to play various musical instruments at an early age, because he had many of them at home. He just took the guitar or the drum and started playing. The boy got a nickname “Bruno” from his father because he looked like Bruno Sammartino, a wrestler. “‘I always brush my teeth cuz my mommy said, I do it in the morning and right before bed!” These words Bruno Mars devoted to his mother, when he was just 4. 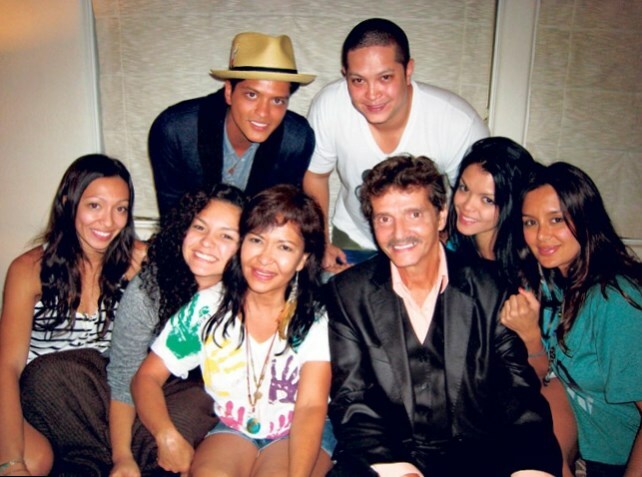 Bruno has always been thankful to his mom as he understood, his success was the result of her care. Bruno’s parents divorced, when the future star was a little boy. It was very hard for Bernie to bring up six children alone, but she did it. 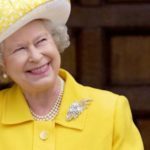 The woman was ready to do any job she could find – Bernie cleaned houses, sold her paintings and danced, of course. When Bruno Mars was 28, he lost his mom. She died unexpectedly from brain aneurysm and Bruno had to cancel his concerts to come home to see his mother for the last time. Two months passed after his mother’s death (the woman was just 55) and Bruno got another Grammy. He devoted the award to his late mother. The star has a tattoo with his mom’s name on his wrist. Of course, Bruno Mars is going to become a good father and husband and future. But now he is concentrated on his career. 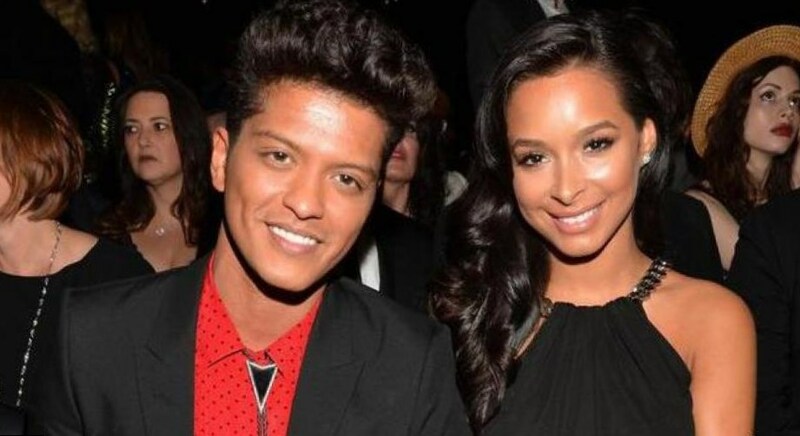 Bruno is not single, he is dating a model Jessica Caban since 2011 and some of their friends hope, that they will be engaged soon. Bruno Mars likes his brother and sisters and he hopes that one day his family will become bigger.